More Reviews About Bank On Yourself Changing Lives! The Bank On Yourself strategy is much more than just another way to save for retirement. 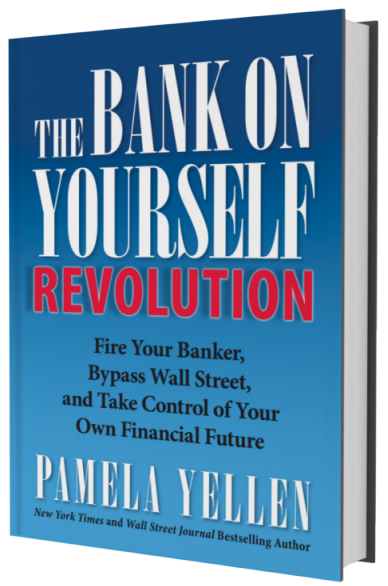 Think about it: If you’re firing your banker, bypassing Wall Street, and taking back control of your own financial future – you’re literally changing your life! You can see Bank On Yourself video reviews on YouTube. Bank On Yourself really does continue to change lives, as folks of all ages and incomes have discovered. More than half a million families and businesses use the Bank On Yourself strategy – based on using super-charged dividend-paying whole life insurance – to reach their short-term and long-term financial goals, without taking any unnecessary risk. Read what real people are saying about this strategy in these Bank On Yourself reviews. Drew Wilder’s family has been using the Bank On Yourself safe wealth-building strategy since 2006. In this review of the Bank On Yourself method, Drew shares how he’s relying on Bank On Yourself as a safe way to build financial stability … providing a source of funds for needs ranging from home repair to paying for college. See why Drew trusts dividend-paying whole life insurance to safely grow his nest egg. These Bank On Yourself reviews aren’t based merely on theory. They report the actual results of Bank On Yourself clients. Bank On Yourself is a financial strategy based on high cash value dividend-paying whole life insurance. Bank On Yourself-type policies enjoy guaranteed growth and are carefully designed to create maximum cash value and flexibility. This allows policy owners to take loans against their life insurance policies while still experiencing the same growth on their money – just as if they hadn’t touched a dime of it! Dan Proskauer is an engineer with a graduate degree from Cornell University, the highest-rated engineering school in the Ivy League. Dan works for a major healthcare company, and he holds three U.S. patents. Did your grandmother ever tell you about The Perils of Pauline? The Perils of Pauline was a 1914 series of feature films about an energetic and naive young woman who traveled the world, running into mayhem and misadventures. Sounds kinda like the script of my life. This is Chapter Three of my untold story. You can read Chapter 1, The Elephant and the Circus, here. And go here to read Chapter 2, about The Ugly Halloween Mask. Where were we? Oh, yeah. So, I had hauled myself across the country and found a coach, Somers White, who helped me design a fabulous business plan. The teensy weensy problem was that this brilliant plan required me to do the one thing that terrified me the most. No, I’m not talking about parachuting out of an airplane while blindfolded. In my mind, this was something far worse. As you can probably imagine, I felt honored when Forbes asked me to write an article for them. Wouldn’t you be flattered if Forbes wanted you to write an article? It was one of their regular columnists who requested the article, who I’ve called “Pat” to protect the guilty. Pat had asked me to answer ten questions for publication. The questions indicated Pat knew I have a contrarian take on Wall Street and that I’m a consumer advocate. I was eager to answer Pat’s questions and tell the world about the scams in the mutual fund industry and expose the wealth-killing truths about 401(k)s and IRAs. And I supported every statement I made with impeccable and unimpeachable sources, from Morningstar to the Securities and Exchange Commission. But each of my adventures, whether voluntary or involuntary, has taught me something. 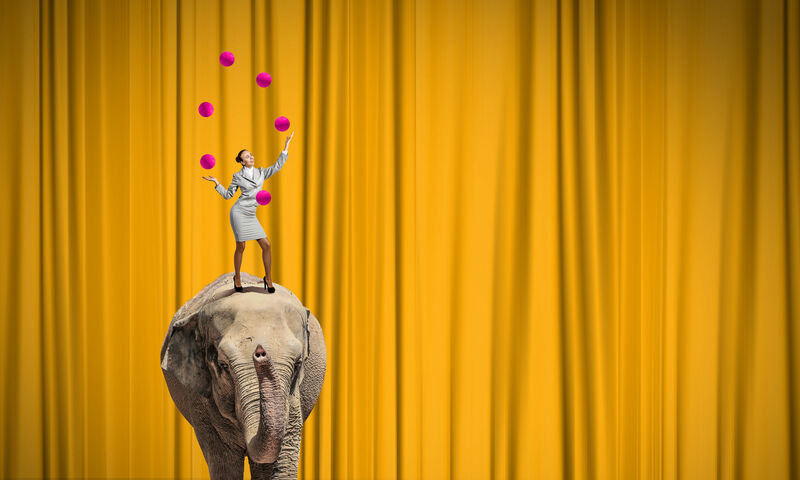 Like the time that a skin-tight gold-sequined circus costume, a fundraiser for breast cancer research, and an elephant landed me on national television.